The Fumo Stainless Steel Pipe Carb fits right into any of the latest Fumo Pipes. Perfect replacement if you want to have a clean one ready to drop in or have lost your original part. 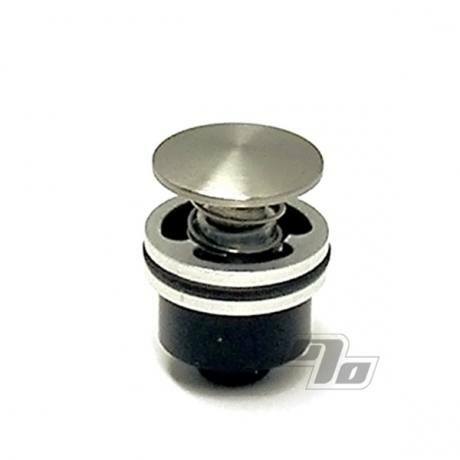 Genuine Fumo Pipe Carb sets inside where the original carb is unscrewed from. To confirm that this new carb will fit your Fumo Pipe just check for the emblem on the bottom of that resembles a sideways U and T.
Buy an extra carb for your Fumo! Fumo pipes provide unparalleled smoothness and flavor. Because they so efficiently burn material, they get gummy with use. I bought this spare carb (and bowl and screens), so that I always have a clean one on hand. Fumo parts are of exceptional quality and easily cleaned, but they do require a good soak to clean, so I highly recommend an extra carb if you are a frequent smoker. You should have an extra carb. Just change out new one for dirty one and soak dirty one in alcohol.Ready for next change.